Thank you for your interest in joining the BulkSupplements.com Influencer Program. We offer a Win/Win Partnership that Monetizes Your Social/Web Traffic with an Industry Leader. Partner with BulkSupplements.com and receive free product, swag and a generous 15% commission on any sale that uses your unique coupon code or tracking link. 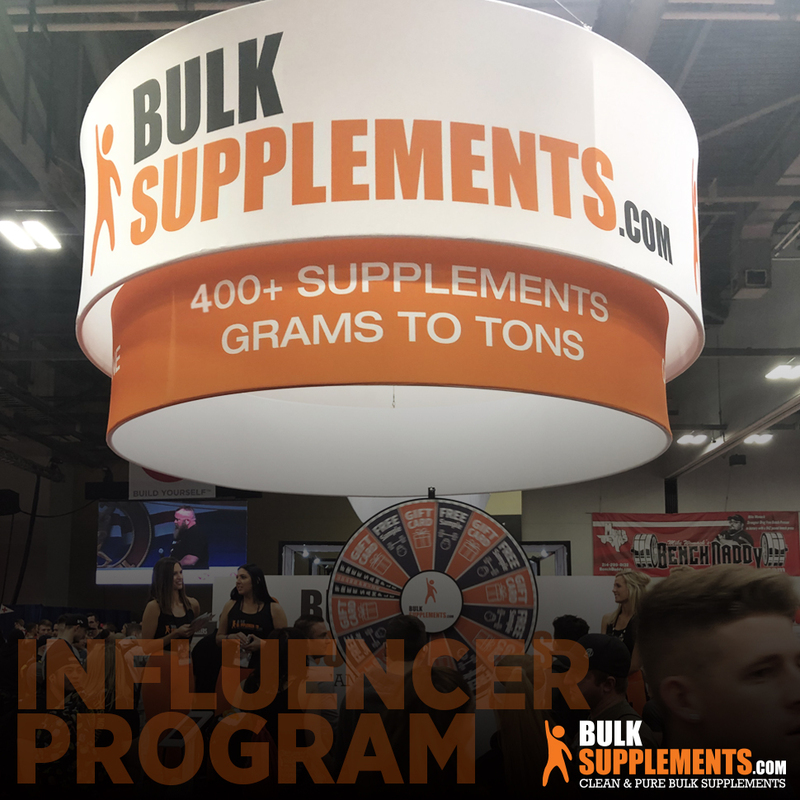 Please fill out the form below and we will contact you with further information on joining the BulkSupplements.com Influencer Program. Have you ever worked as a promotional model/athlete/ambassador?